What? 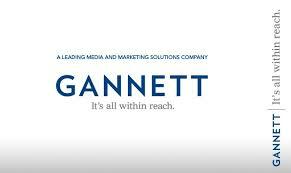 Gannett will add 12 to 14 pages of USA Today content each day to 35 newspapers. It is expected that the company will eventually expand the plan to its 81 local newspaper markets. Why it matters: The move highlights the huge weight local community newspapers have when it comes to connect with local audiences. Content may be king but local content is the emperor. Gannett just announced that it will add 12 to 14 pages of USA Today content each day to 35 newspapers including The Journal News in White Plains, N.Y., The Tennessean in Nashville and The Cincinnati Enquirer. It is expected that the company will expand the plan to its 81 local newspaper markets. The move highlights the huge weight local community newspapers, many of them Hispanic, have when it comes to connect with local audiences. While national and metro dailies' ad revenues are clearly declining, most local newspapers, particularly in second and third tier markets, are growing. By inserting an abbreviated version of the USA Today into Gannett newspapers, circulation will increase to 2.5 million readers on Sundays (from 1.5 million). Photo: Yon Garin. Creative Commons License. The plan is to introduce USA Today into local newspapers websites as well. Larry Kramer, USA Today’s publisher said to The New York Times that "as fewer readers buy or subscribe to both a local newspaper and a national one, the inserts enable Gannett to offer a single product that provides wider coverage." Gannett has been testing this project since October in 4 papers in Indianapolis; Rochester; Fort Myers, Fla.; and Appleton, Wis. According to the Alliance for Audited Media, USA Today currently has 2.876 million weekday readers for both the print and digital editions, with just over 1.3 million of those for the printed paper. At the UBS Global Media and Communications Conference yesterday Bob Dickey, president of U.S. Community Publishing at Gannett explained that the program has been embraced enthusiastically by subscribers. Dickey also discussed a recent pilot program, in which a USA TODAY edition was integrated into print and e-editions of four local newspapers.As a result, he announced that the program will be expanded to 35 markets in early 2014. The new initiative, which is an extension of Gannett's successful all-access content subscription model, will provide local consumers with an enhanced news product that leverages Gannett's unique ability to generate and distribute national content while at the same time, enhancing its ever-important local hometown coverage. Dickey also discussed enhancements to the all access content subscription model, as well as the positive impact of G/O Digital, Gannett's comprehensive approach to digital marketing services, which will continue to help diversify the Publishing segment's revenue stream.